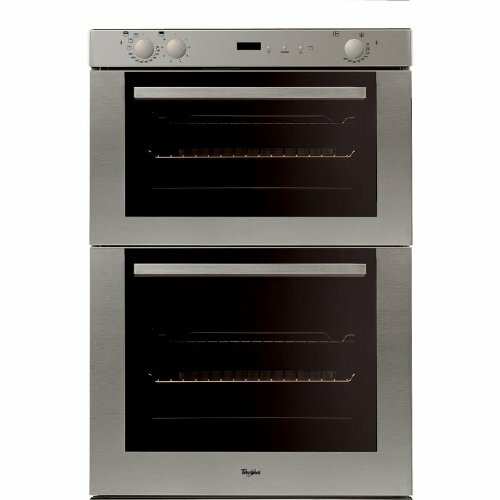 This integrated WHIRLPOOL AKP801/IX electric stainless steel double electric oven comes complete with a 1 year manufacturers guarantee. The double electric oven's dimensions are (H)71.5cm x (W)59.5cm x (D)56.7cm. The main cavity has a 46 litre capacity and the second cavity is 32 litres, featuring an efficiency rating of A/A.